WELCOME TO TUCSON HEBREW HIGH! Think of this as your resource for everything Hebrew High and Jewish teen related. BE JEWISH – BE INVOLVED – BE HERE! We're a dynamic credit and elective-based program for for all Jewish Teens in grades 9-12. Students span the spectrum of Jewish beliefs, background and traditions; affiliated and unaffiliated. They meet Tuesday nights to socialize, network, learn more about themselves, their Judaism and how it all fits together. 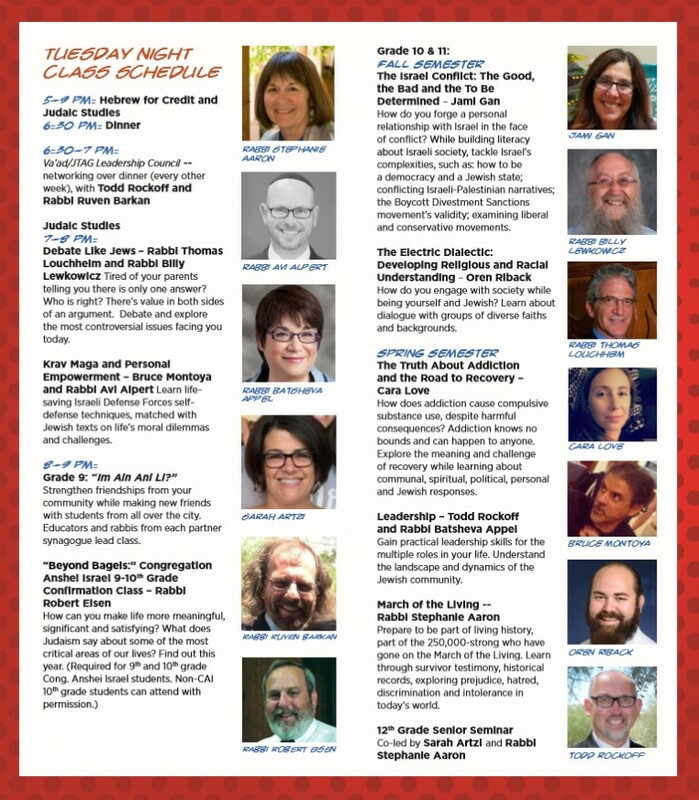 The faculty makes learning exciting with thought provoking discussion oriented classes relevant to you as a Jewish teen.There are no “because I (it, we) says so answers here! Yes, it’s true; you can go to Tucson Hebrew High and earn high school credit! Our Hebrew for Credit program is accepted at most Tucson High schools for one high school language credit per year completed.Where it is not accepted for foreign language credit, most are accepted for elective credit, thereby giving you more freedom to take other classes within your high school. Tucson Hebrew High is also a wonderful addition to your college resume. Colleges are looking at consistency in extracurricular activities and take special note of activities that are academic in nature. Hebrew High students engage in critical thinking and text analysis, two important elements for the college applicant to have. Hebrew High faculty are also excellent references for college and jobs! *It is mitzvah opportunities where you not only have the chance to reach out to those in need, you also can earn course credit towards graduation if you are unable to attend regularly. *Make your dream of Israel a reality with the Beth Weintraub Schoenfeld Memorial Israel Experience program, which provides subsidies for teen Israel programs and the March of the Living. 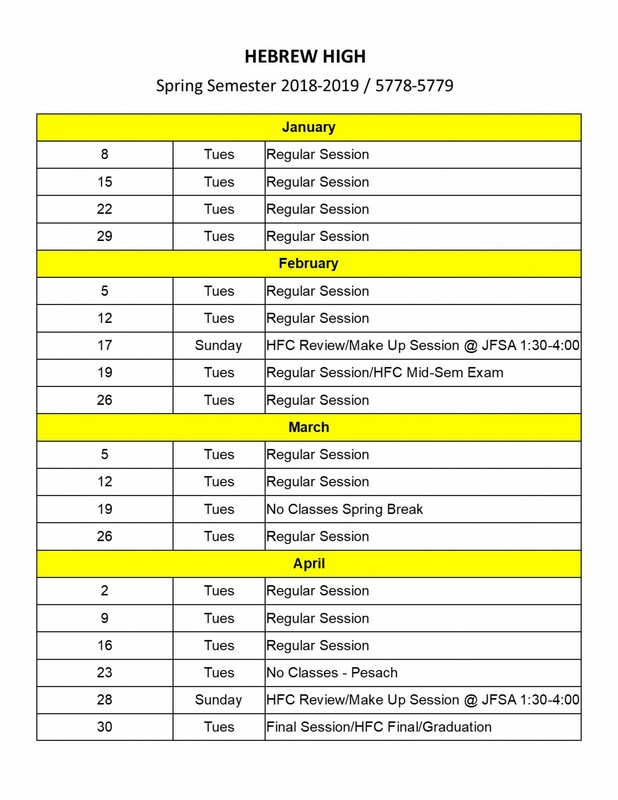 *Special programs enable you to get involved with your Judaism and plan programs and classes you would like to see. TUCSON HEBREW HIGH is maintained by the Coaliition for Jewish Education of the Jewish Federation of Southern Arizona and is supported and subsidized by our local congregations (click here to access their websites). Scholarship funding generously provided by the Dr. Stephen Dickstein Scholarship Fund and Friends of Hebrew High. 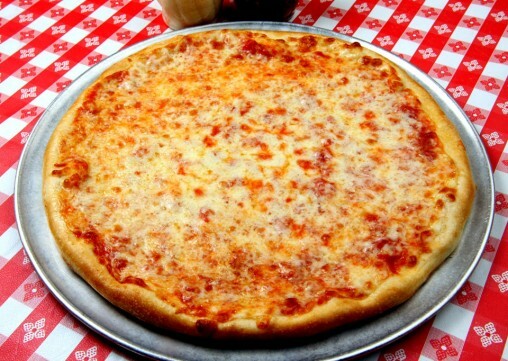 Join Us For (free) Dinner Each Week! Come early to Hebrew High and enjoy dinner, schmoozing with friends, and getting some homework done before class. Free dairy dinner is available from 6:10 to 6:45 in the library. 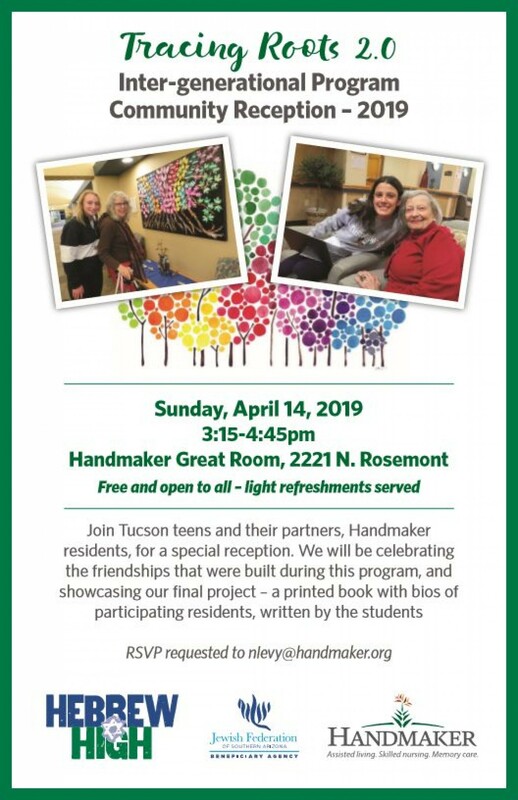 Several years ago, in a two year partnership program between Handmaker and Hebrew High known as Tracing Roots, Tucson teens were paired with Handmaker residents, meeting once a month throughout the school year. They learned about one another by tracing their roots with Ancestry.com the first year, and by creating a cookbook the second year. Beautiful connections were made between the teens and their Handmaker partners, and some students still come and visit their Handmaker partners. Due to the success of that program, this year we have developed Tracing Roots 2.0, which will again connect Tucson teens with Handmaker residents. With several group meetings, and flexible meeting times with partners, the goal is for participants in this program to develop meaningful intergenerational connections, in part through the creation of a book filled with biographies of their Handmaker partners.